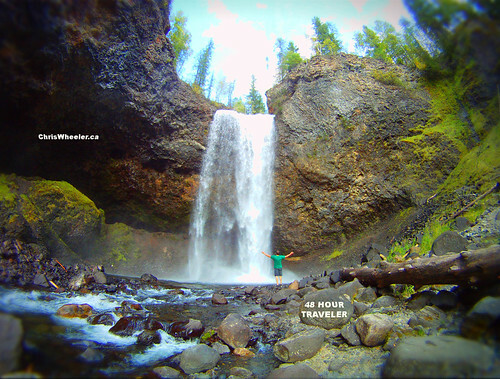 Explore spectacular Wells Gray Country by Clearwater, BC with Field Reporter Chris Wheeler. Take an airplane flight over scenic Wells Gray Provincial Park where you see the Cariboo Mountains up close and North America’s largest canoe only lake, Murtle Lake! Then hike behind Moul falls before seeing Dawson Falls, Spahats Falls, and world-famous Helmcken Falls! Wells Gray is the Canada you imagined. Click here to see the video showing off Wells Gray by Boat!